The Latin name means "the plant with the round leaves''. But this only applies to the marsh variety, which has circular leaves. 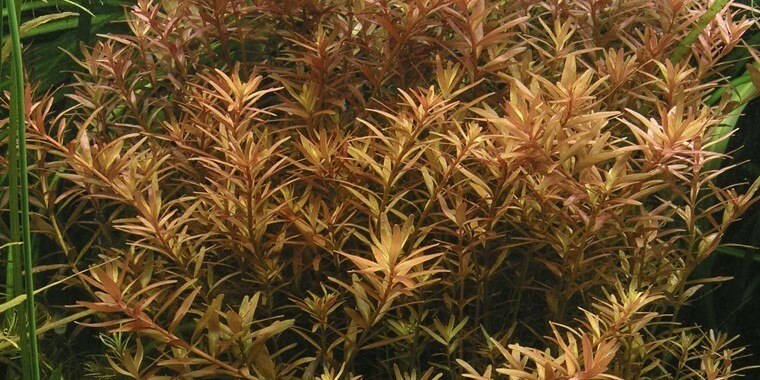 Rotala rotundifolia from South-East Asia has long, thin leaves (2-3 cm wide) and 15-30 long stems. 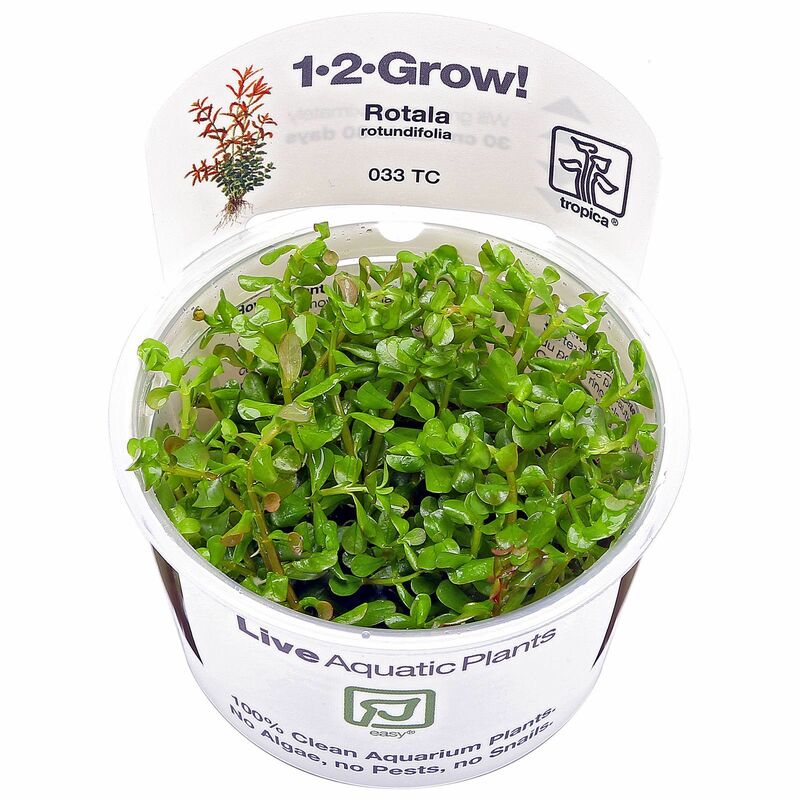 Unlike other Rotala species it is relatively undemanding, although it needs good light to produce red leaves. It forms side shoots willingly, becoming compact and bushy. This also means that it is hard for light to reach the lower leaves, so the plant should be pruned frequently.